Munnar receives heavy rainfall in the monsoon season, so this season should be avoided. September to May is considered the best time to visit Munnar. Which are the top 5 must visit places in Munnar? TATA Tea Museum, Blossom Park, Attukal Waterfalls, Kundala Lake, Mattupetty Dam are the top places to visit in Munnar. How can I get attractive discounts on hotels in Munnar? 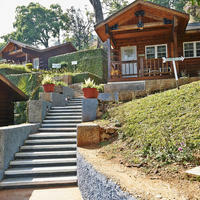 Go to the Cleartrip, where all types of hotels in Munnar are available. To avail the best deal, you can also use a valid coupon code while booking your stay. Also, compare the prices as price comparison is essential before making the final booking. Yes, there are several hotels in Munnar where unmarried couples are allowed. However, they should always carry their valid ID proof which they may have to show at the time of check in. Also, accommodation can be denied by well-known hotels to unmarried couples. 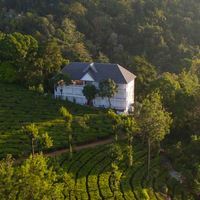 How can I find hotels near Tata Tea Museum in Munnar? You can easily find hotels near on Cleartrip by entering the locality name in the Where field option on the Hotels Page. Lists of hotels near Tata Tea Museum will appear in the results and you can book the hotel that fit your budget and requirement. 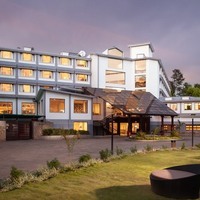 How do I book hotels in Munnar near Blossom Park? Go to hotels near Blossom Park from the link in the Cleartrip footer. Lists of hotels near the specified location will be listed and you can choose as per your budget. 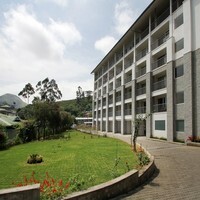 Do Munnar hotels offer Wi-Fi facility? There are several hotels which provide this facility. However, one should confirm this by contact the hotel before booking. What can I buy from Munnar? Munnar is famous for its tea plantation. So you can buy tea, spices, home-made chocolates, etc. from Munnar. Can you tell which are the popular pubs in Munnar? There is not much of a nightlife in munnar and there are a few nightclubs that you can check out. They are High Range Club, Mountain Club, etc. The best five shopping places in Munnar are Munnar Market, Marakkar Shopping Centre, Krishnas Shopping Mall, Dms Shopping Centre, and Fresh Tea from a Factory Outlet. What are the famous sightseeing spots in Munnar? The town of Munnar offers excellent spots to visit such as Mattupetty Dam, Kundala Dam Lake, Echo Point, Top Station, Rajamala, Attukal Waterfalls, Blossom Park, and many more. What are some must do things in Munnar? From adventure activities to learning the art of tea making, one can find their most loved things-to-do in this town. Bird watching, fishing, bike riding, camping, trekking are few things to do in Munnar . Can you list the top spiritual places in Munnar? Csi Christ Church, Mount Carmel Church, The Christ Church are some top spiritual places that one must visit while in Munnar. What activities and experiences can I enjoy in Munnar? Resort day outings, photogarohy tours, city tours, tea plantation tours, city sightseeing, camping, trekking, biking are some activities that you can do during your trip to Munnar. 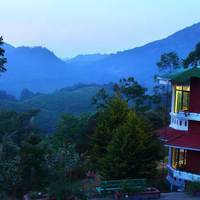 How to book a room for international guests near Top Station in Munnar? If you are planning to book a room for international guests near Top Station in Munnar, then scroll through the luxury hotels on Cleartrip. You can choose the best among all. Can you list some good resorts in Munnar? Tea County Munnar, Ayur County Chancellor Resort, Mountain Club, and Nature Zone Resort are some good resorts to consider booking in Munnar. To book an accommodation, you can visit Cleartrip and avail the exciting discounts on your booking. From where can I book a good resort for a day outing in Munnar? 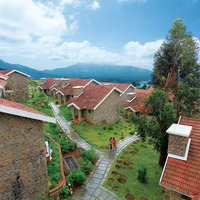 For amazing day outing resort options, you can log in to Cleartrip. You can choose one and spend your day with family and friends. 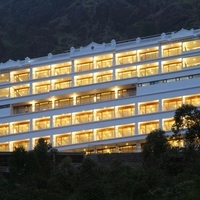 Can you name some 5-star hotels in Munnar? 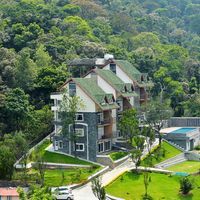 Chandys Windy Woods, The Panoramic Getaway, Club Mahindra Munnar, Fragrant Nature Munnar, Parakkat Nature Resorts, Plum Judy The Leisure Hotel are some 5-star hotels in Munnar. Book on Cleartrip to avail the best deals! Can you list some luxury hotels in north Munnar? 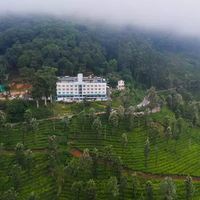 Tea County Munnar, Ambady Estate, Tea Valley Resort, The Silver Tips, Spice Tree, Elysium Gardens Hill Resorts are some luxury hotels in north Munnar. Can you name some boutique hotels in Munnar? 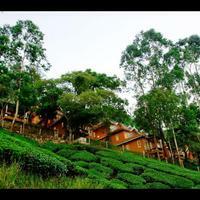 Ambady Estate, Spice Tree, Swiss County are some boutique hotels in Munnar . 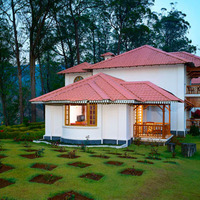 What are the top hotels to stay at Munnar? 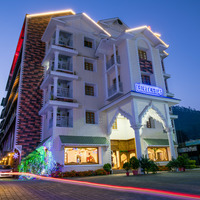 Sterling Munnar, Tea County Munnar, Camelot Resort, Misty Mountain Resort, Ambady Estate, Kaivalyam Retreat, The Fog Resort and Spa, Aranyaka Resorts are few luxury hotels where you can find a comfortable stay. For more options, visit Cleartrip. How far is Eco Point from Munnar? The distance between Eco Point and Munnar is about 15 km, and it hardly takes 20-30 minutes to cover the distance. Which are the best places to eat in Munnar? Restaurants, such as Saravana Bhavan, Rapsy Restaurant, KTDC Tea County Restaurant, Taste the brews, and Rivulet restaurant offer the best food in Munnar. 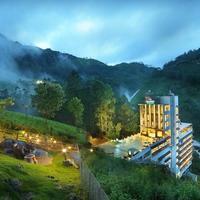 Do hotels in Munnar offer pool facility in Munnar? Yes, many hotels in Munnar offer this facility. For more details on hotels with pool in Munnar, visit the Cleartrip website and book the best hotel that fits your requirements and budget. 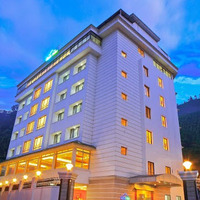 Which chain hotels have a branch in Munnar? 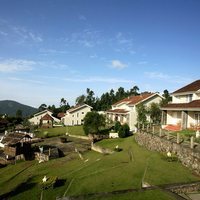 Club Mahindra, ABAD Group Munnar, Sterling Hotels& Resorts, Sea Lord Munnar, and KTDC Munnar are a few chain hotels in Munnar. Do hotels in Munnar offer bar facility? Yes, there are a few hotels, which offer bar facility. 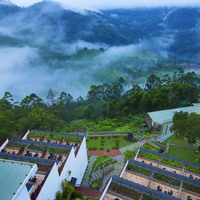 Tea County Munnar is one such hotel you can consider. 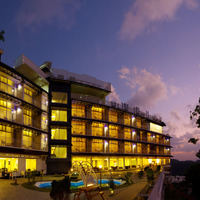 Check out more hotels in Munnar with bar on Cleartrip. You might not have many options, if you are visiting the place for partying. There is one famous nightclub in Munnar called High Range Club where you can go for night out. Can you tell me about some homestays in Munnar? 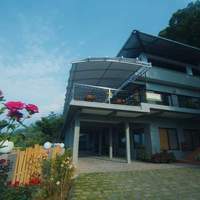 Munnar has several homestay options for a peaceful holiday experience. 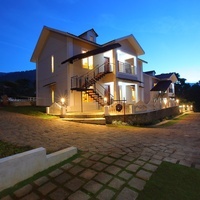 You can visit the Cleartrip website to see the list of homestays in Munnar . Is parking facility available at hotels in Munnar? Yes, most well-known hotels in Munnar offer this facility. However, it is always advisable to check with the hotels before booking a hotel. Where can I go for weekend getaways from Munnar?